Microsoft pulls Skype v5.0 from Apple App Store: Is Skype dead for Apple iOS? Apple App Store iPhone screenshot of Skype, by Microsoft, shows unavailable software when attempting to update Skype. 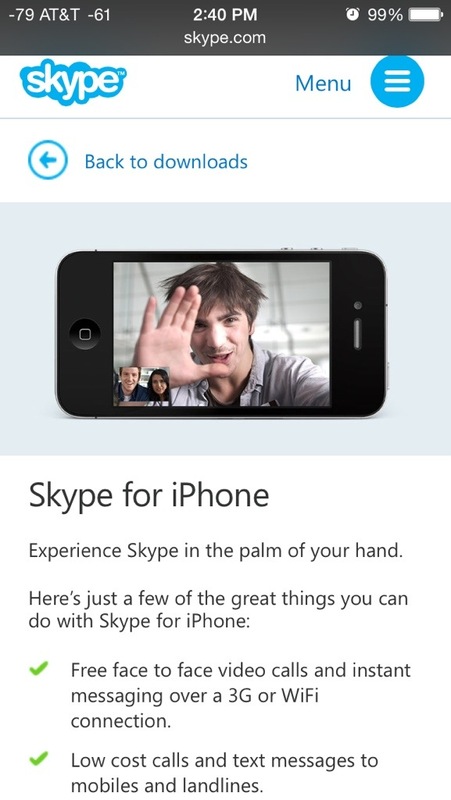 Microsoft announced two weeks ago that their Skype software division had produced a new version for iOS devices. Suddenly, to the dismay of many iOS device users, the Skype software was no longer available, and had pulled from the Apple App Store. However, it leaves customers wondering… was a fatal vulnerability or flaw discovered? What exactly is behind such a strangely curious move – to announce an improvement, and then experience failure before roll-out? It seems that’s par for the course with Microsoft, which has suffered numerous publicly embarrassing faux pas, including the on-stage crash of Windows 98, again in 2005, and most recently with their Surface tablet. Skype appears as an update in the Apple App Store, but instead is completely unavailable. This entry was posted on Thursday, June 12, 2014 at 4:09 PM	and is filed under - Business... None of yours, - Read 'em and weep: The Daily News, End Of The Road. Tagged: app, App Store, Apple, Apple App Store, Bill Gates, calll, CNN, communication, Conan O'Brien, crash, Fail, fail blog, hype, iOS, iPad, iphone, Jay Leno, live, Microsoft, MSFT, phone, pictures, screenshot, Skype, Skype 5.0, video, VoIP, Windows. You can follow any responses to this entry through the RSS 2.0 feed. You can leave a response, or trackback from your own site.